Sari Roti traders distributing bread for free to participants of the rally on 2 December 2016. Image from the web. 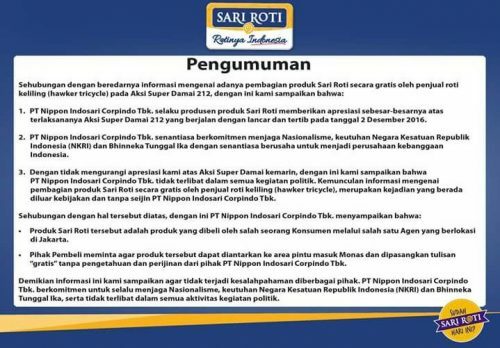 PT Nippon Indosari Corpindo Tbk (Sari Roti), Indonesia’s biggest packaged bread manufacturer, has become embroiled in a public relations nightmare after the company dissociated itself from the 2 December 2016 (212) rally. 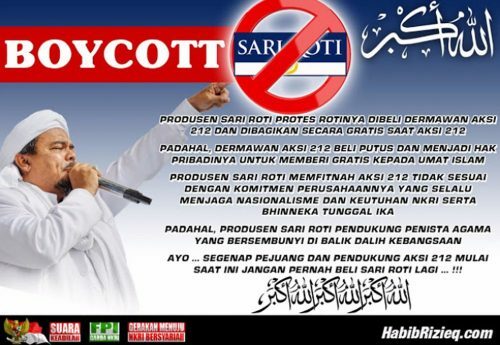 At first, Sari Roti was viewed positively for its ‘actions’ in the rally but now the company is subject to consumer boycott. 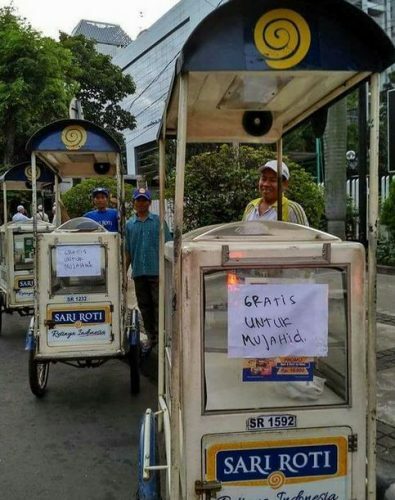 The particiating Sari Roti carts carried the sign “Gratis untuk Mujahid” (Free for Mujahids). 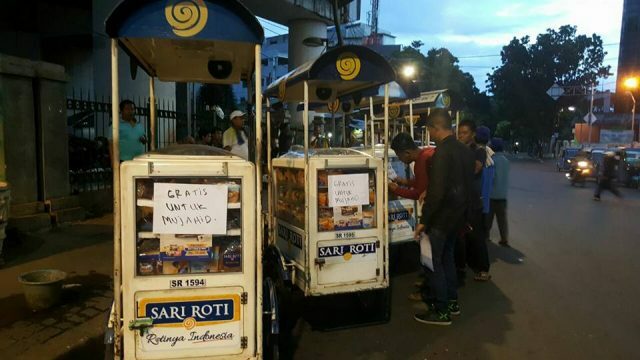 Images of these Sari Roti vendors distributing bread for free went viral and received a lot of praises from a section of the society. Soon after images of Sari Roti vendors participated in the 212 rally appeared, Sari Roti issued a press release to distance itself from the rally. The company claimed the distribution of the free Sari Roti was the actions of an individual acting without the official sanction from the company. The company said it is appreciative that the 212 rally (Aksi Super Damai 212) went smoothly and with discipline. The company claims it is committed to safeguarding nationalism, protecting the sovereignty of the Republic of Indonesia and Bhinneka Tunggal Ika (Unity in Diversity). [This is when the statement starts to become political]. Muhammad Rizieq Shihab (image above) also known as Habib Rizieq is an Indonesian Islamic scholar, activist, the founder and the mastermind behind the Islamic Defenders Front. He is urging consumers to boycott Sari Roti. What the company should do is make use of the situation and thank the people for showing interest in Sari Roti. 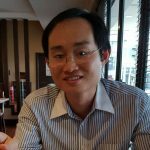 The company can then briefly explain the distribution of the bread at the rally was not officially done by the company but by an individual without the company’s knowledge. Sari Roti can end the press release by thanking the support of its loyal customers and possibly add in some promotions. This helps the company to steer clear from sensitive subjects like religion and politics, which is often divisive.